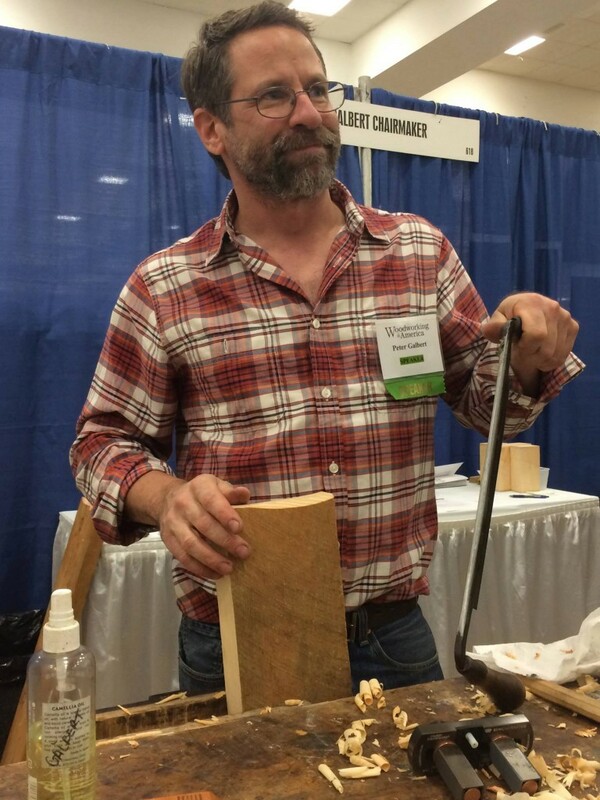 There was a lot to see in the WIA 2014 Marketplace, and we were excited to find a booth featuring one of our favorite chairmakers, Peter Galbert. We got him to do a quick demo of his Galbert Drawsharp to show us just how easy it is to use. Take a look at the video below! 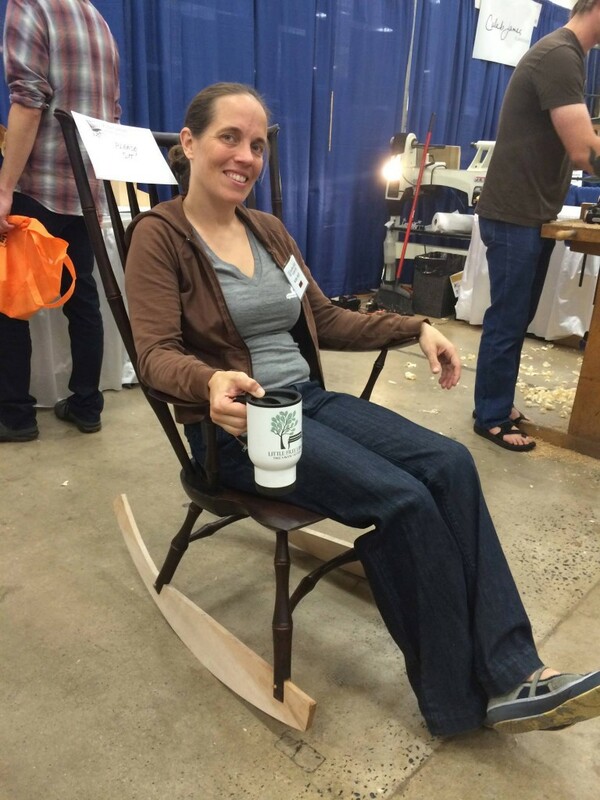 Checking out the fit and feel of a Galbert-original rocker.